Marie Kondo‘s new Netflix show called “Tidying Up” is being described as a cultural phenomenon, and we can understand why. Her message is simple yet profound – “tidy your space, transform your life.” This can start with a step-by-step decluttering of the rooms in our homes (something we’ve been trying and loving lately! ), keeping only those items that add joy to our lives. But after the decluttering phase, keeping a busy house full of kids both tidy and CLEAN on a regular basis becomes our next ongoing challenge. 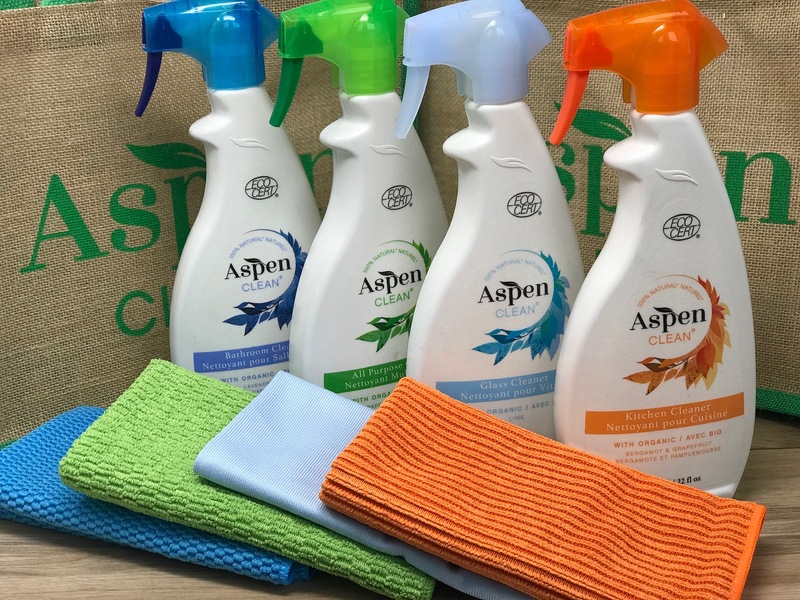 We’ve been big AspenClean fans for years. Their all-natural cleaning products really get the job done without harsh chemicals (safe for kids & pets! ), and their in-home cleaning teams are the most professional ones we’ve encountered in Metro Vancouver. 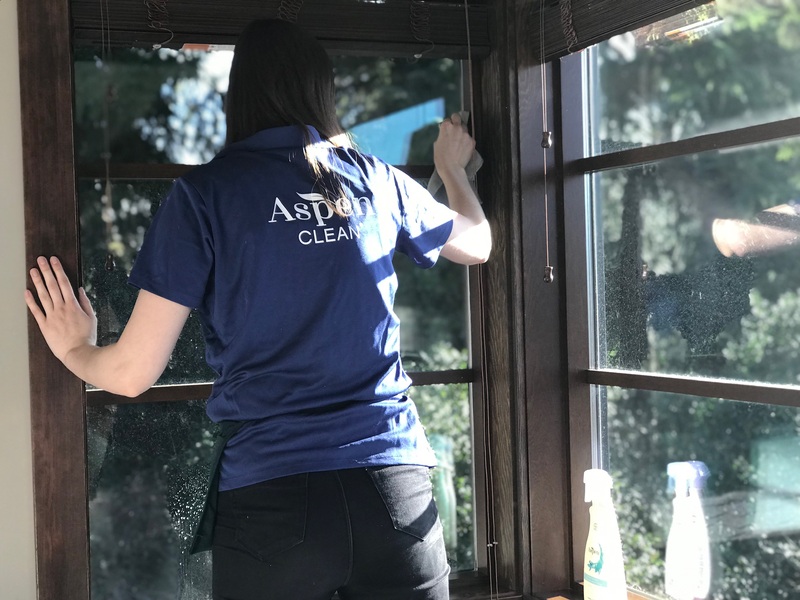 Last week AspenClean treated us to a deep clean of the parts of our home that are the most often neglected – inside the fridge and oven, sticky fingerprints off window panes and dust off all of our blinds! As always, their team showed up right on time with great big smiles, and laden with all of their cleaning essentials. 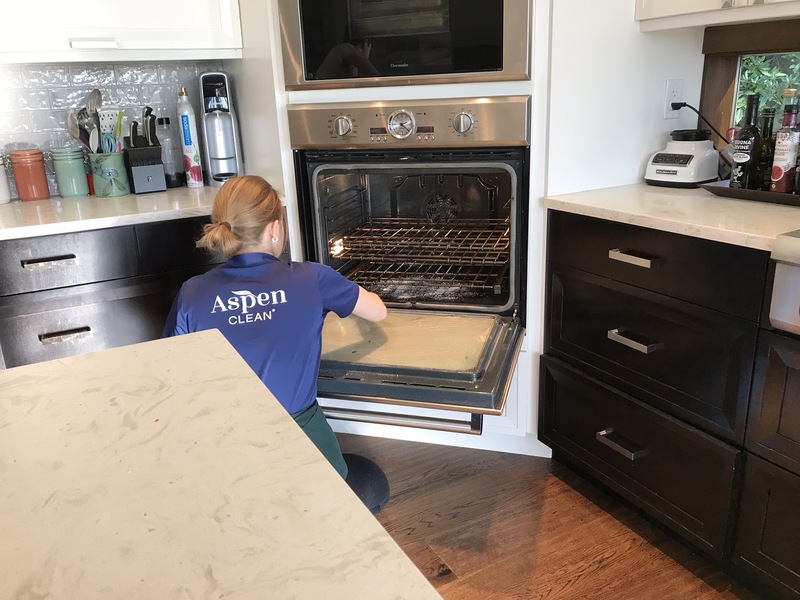 Having AspenClean visit for weekly maintenance or for deeper cleans once in a while takes such a load off our plates and gives us time to enjoy more family downtime at home. They currently services homes in Vancouver, West Vancouver, North Vancouver, Burnaby, New Westminster, Richmond, Coquitlam, Port Coquitlam, Port Moody, and Lions Bay. 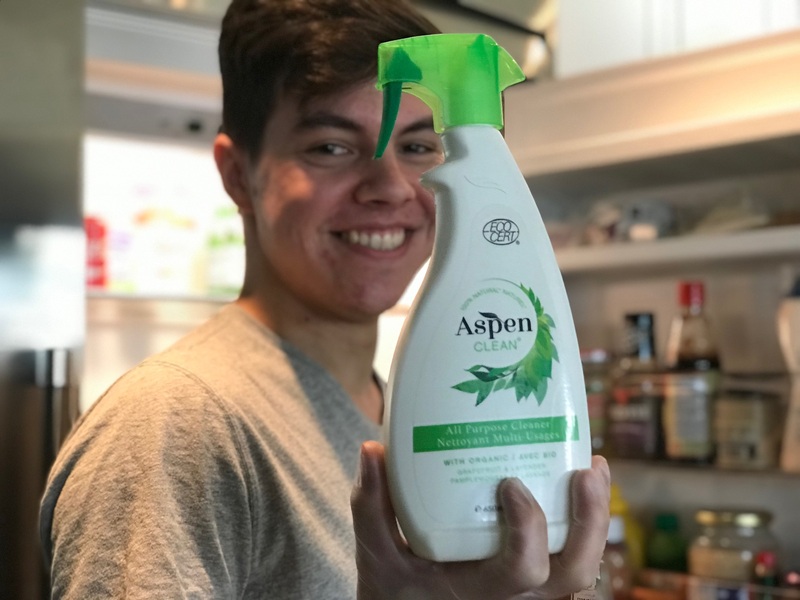 And we usually buy their cleaning products online through the AspenClean website or at our local Whole Foods Market or Choices Market store. 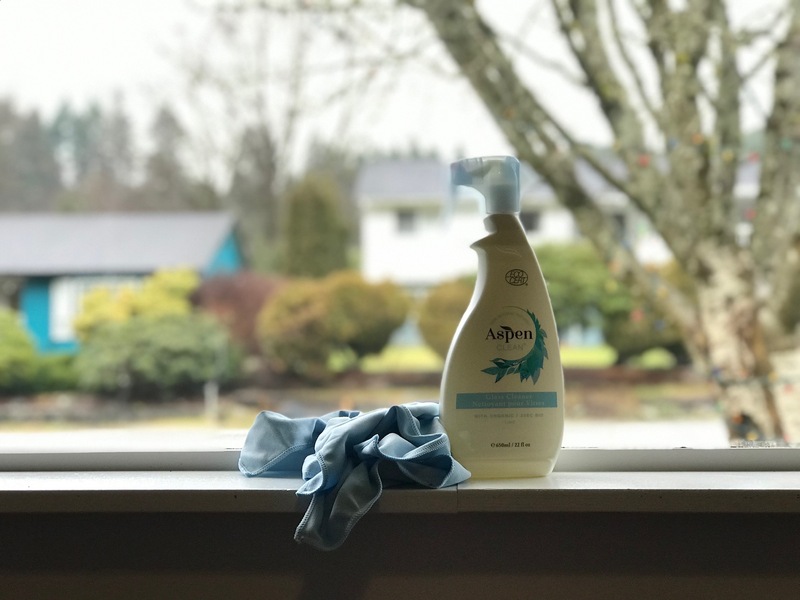 Connect with AspenClean on Facebook, Twitter, and Instagram. 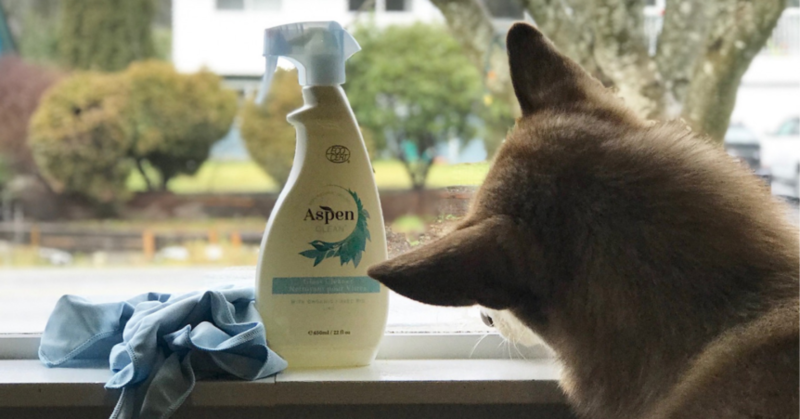 and if you book a cleaning online you’ll get a free AspenClean product! Top Picks To Up Your Chocolate Game! Rent To Reduce Clutter at Home KinderMeals: New Plant-Based Hot Lunch Program for BC Kids! I would love to win this contest, the kitchen needs the most help in my home! Having a clean house for Valentines Day would definitely put “the biggest smile ever on my face” as I always struggle with this chore! And my sinuses are super sensitive so having this done with natural AspenClean products would be SO Wonderful! The All Purpose cleaner looks great so everyday cleans! My floors and the bathroom are always in the most need of a deep clean in our house… never mind the folding and putting away of the laundry! Bathroom shower doors and window. Always the things left for this momma. Having a clean house for vday with natural products is a dream come true! I would say it’s our kitchen that needs to be deep cleaned, with all the stickiness from the kid’s hands on the cupboards, door handles, nooks and crannies etc. I do a wipe down every day, but the kids still live here so… 😉 Then there’s the blinds, oven etc. too – so much to clean, I’d love some help! I would love a deep clean for Valentines Day! I think my kitchen cupboards and drawers could use a clean, and the windows! Inside and outside windows! Thank you. My windows and hard to reach area need a nice thorough clean! My kids playroom needs a serious deep clean after the flu swept through our house! My bathroom definitely needs a deep clean! My bathroom needs a deep clean for sure! My least favorite room to clean! My kitchen needs the deepest clean! Our kitchen needs the deep clean! And those dusty blinds like you mentioned – always get looked over!! My kitchen definitely needs a deep cleaning. The fridge, the cupboards, the sink all need some elbow grease to get really clean. Our bathrooms are definitely in need of a deep cleaning as no one likes doing it and they get neglected..I wish I could find joy in cleaning bathrooms! Our kitchen needs deep cleaning! My kitchen. OMG my kitchen. It needs so much help. My whole main floor needs a deep clean. My living area is a bit of a war zone with three kids and a big man baby! The bedrooms wouldn’t mind getting deep cleeaned either! Clean house would be the best Valentine’s day gift ever ❤😊 the most used part of my home would be the kitchen definitely! And the one space that needs the most deep cleaning. My bathrooms are definitely in need of a deep cleaning! My whole house could use a really good deep cleaning living with chronic pain you can do so much.. especially with little ones that are tornadoes I feel its never ending with house work! My bathrooms, blinds need a good clean. My cupboards and and window sills! I keep my house tidy but there’s only such much time when you’re a mum. A clean house would be the bomb! Our bathrooms always need doing with 2 kids!! my kitchen needs a good clean! Hello beautiful! Isn’t being a grown-up interesting? As a kid I used to get excited about mud pies and playing rough on the play ground. Now, as an adult, having a super clean house is just the bees knees! Like a dream come true! LOL! I’m picking two rooms (but really, my home needs this!!) – my kitchen and bathroom. So in need of a deep clean! I’d cry. I really would! My 2 bathrooms could use a deep clean! With 2 toddler boys, I use bath time to give a quick clean but it’s constant trying to keep clean! A deep clean in the kitchen would be fantastic! Oh goodness I need help deep cleaning my bathroom!! Kitchen would be great for a deep cleaning! Definitely bathrooms! My most disliked room to clean! My kitchen and bathroom are definitely in need of a thorough deep clean. We would love to have our bathrooms cleaned!! One of my least favourite to clean. My kitchen needs a deep clean with heko from Aspen Clean. My kitchen needs a huge clean! We’ve started potty training so the bathroom needs the most help! The kitchen could use a deeper clean than I have time for these days! My whole place needs a deep clean honestly 😂 especially bathrooms and living room (which is literally covered with toys). carpets, kitchen need deep cleaning!! Our kitchen is in need a deep cleaning… especially the floor! Our carpets need a deep cleaning. The room that needs the most cleaning is definitely our condo office! My bathroom is badly in need of a deep cleaning! My living rooms needs help!!! My bathrooms both need a deep clean 😊 as with other parts of my home! I’m a one mom army against 3 little monsters ages 4, 2, and 1. Hopefully this comment works. My windows really need a good scrub!